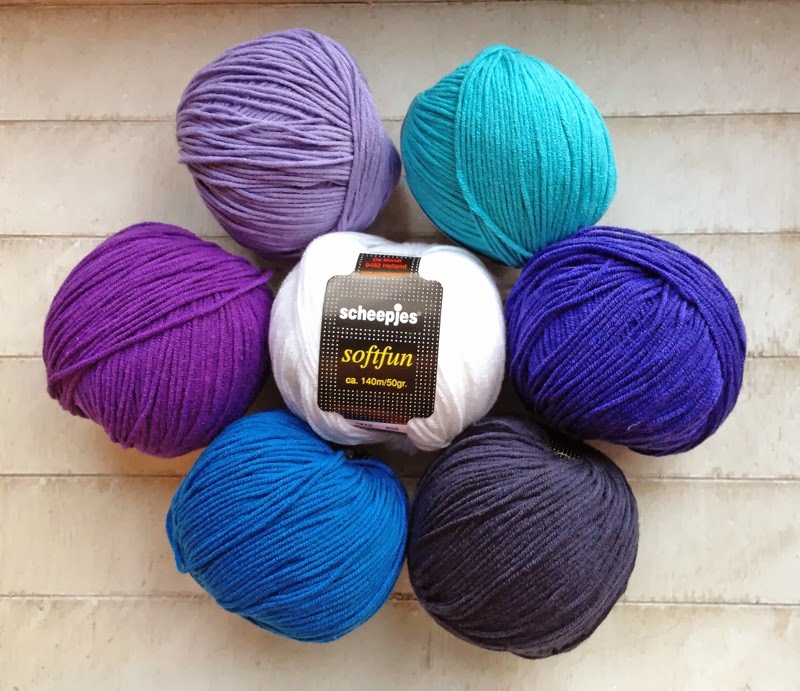 Fifty Shades of 4 Ply: Softfun Love! Well good afternoon from a sunny but blustery Northumberland! Thank the lord the rain has stopped falling... for now anyway! 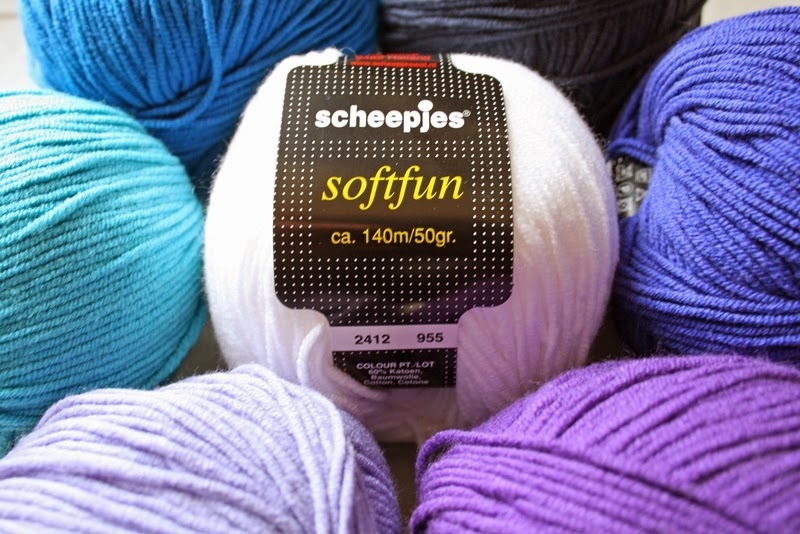 A little while back I was lucky enough to be given some yarn from the lovely people at Scheepjeswol to play with. 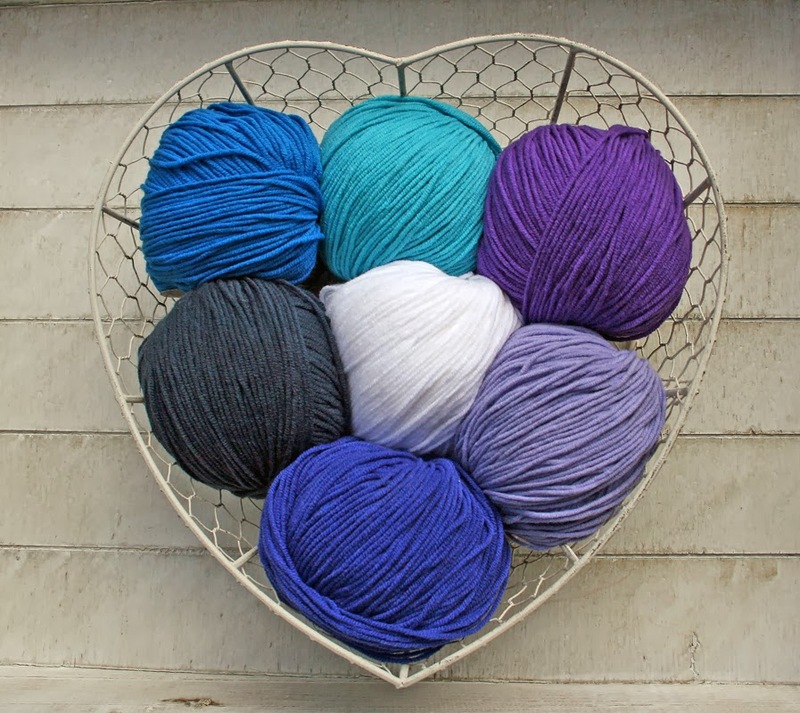 Not just any yarn, I'll have you know, but some utterly gorgeous Softfun in the most stunning of colours! A delicious assortment of blues, purples and of course a lovely crisp white. Soft by name and soft by nature! Boy, this yarn is soft and snuggly! 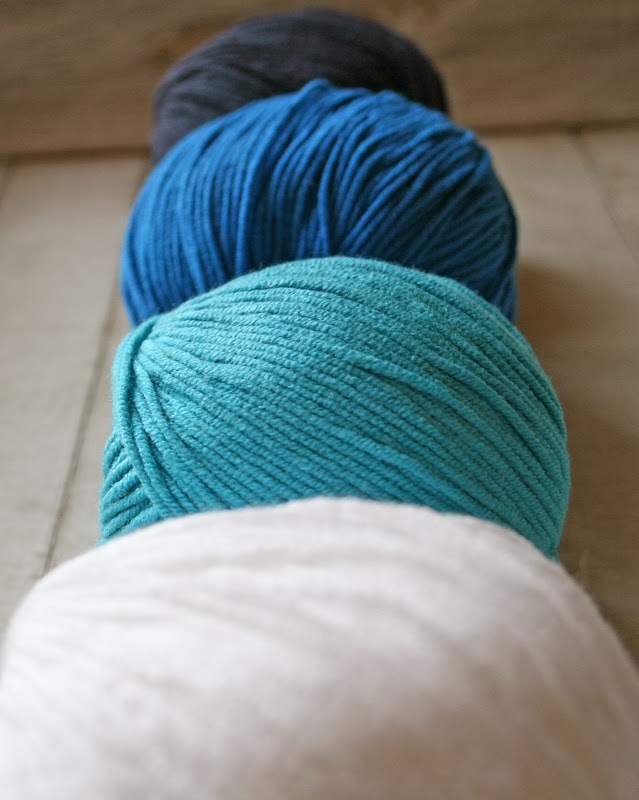 It's a cotton (60%) acrylic (40%) mix, is sold in 50g balls and has a recommended hook/needle size of 4mm. Want to take a closer look? The yarn twist is good so none of the dreaded splitting! There's something very satisfying about arranging playing with new yarn and seeing how the colours work together! Whenever I'm starting a new project, I spend a little time working out what order to place the colours. You wouldn't believe how much this can change the overall feel of a project. I urge you all to try this! So playtime important arranging time over. What are these colours saying to me? What shall I make with this gorgeous yarn? I think it's the bright flower design against a crisp white background. It made me smile! An idea was born! Ooooo this is going to be one bright and funky blanket! 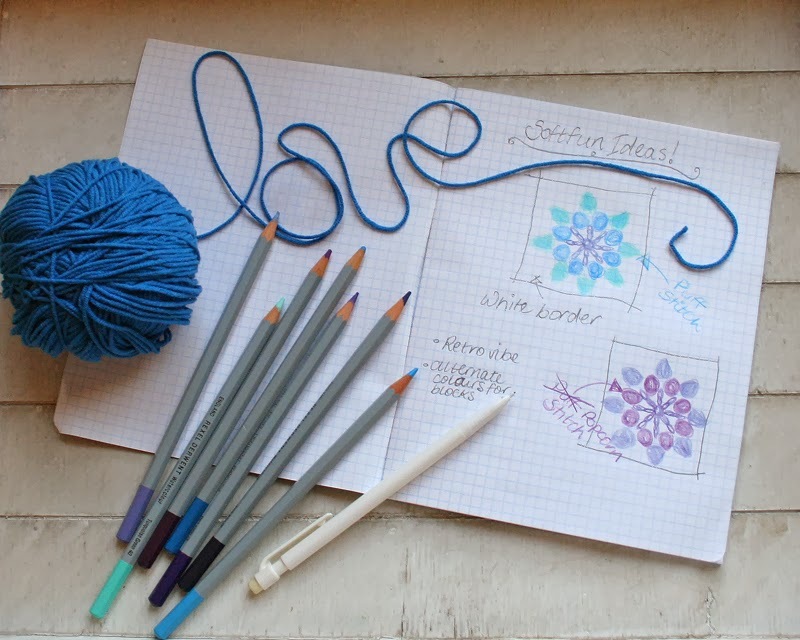 Have any of you used this yarn before? If so I would LOVE to see what you've made! Leave a link in the comments section and I'll have a peek :-) Let's share the Softfun love!!!! 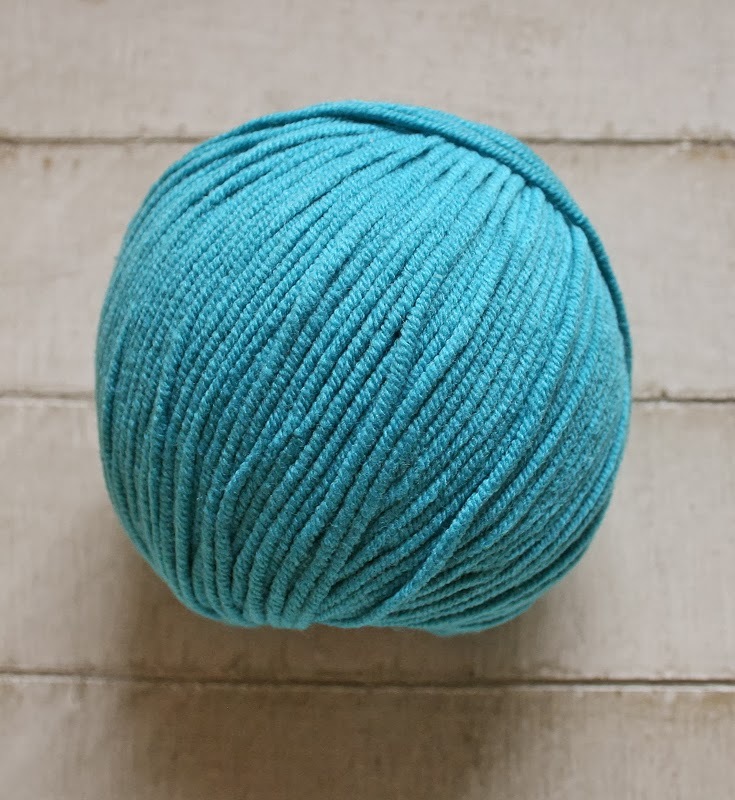 This yarn is so squishy and soft, perfect for a retro blankie!